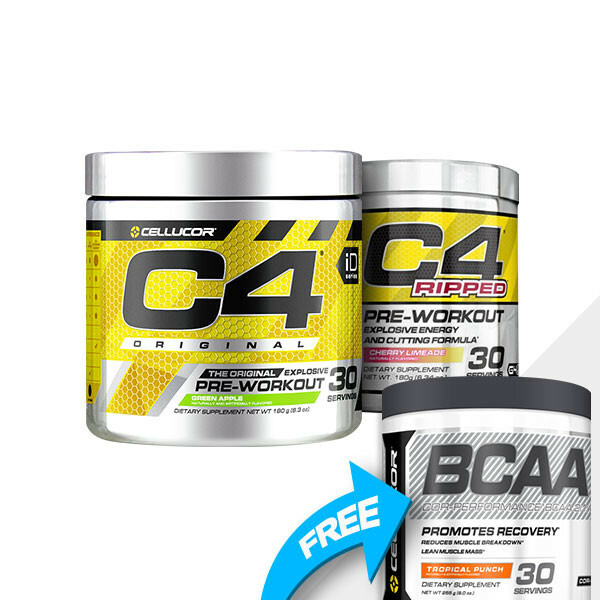 C4 Original lives up to its solid reputation with a classic formula for advanced energy, endurance, focus and pumps! But with a new bottle design and more delicious flavor options for you to choose from, you’ll feel like it’s your very first time experiencing the C4 pre-workout you know and love. Crash dieting doesn't work. When you want to lose fat without stripping away muscle, the trifecta is a clean diet, proper training and the right supplementation. Creatine is essential when you want to put on size. It provides energy for training and helps add mass to your physique. But when you want to cut down, it isn't always ideal. Don't sacrifice flavor in the name of fat loss; enjoy your pre-workout! C4 Ripped gives you the burst of flavor you crave before you train. Choose from Cherry Limeade, Fruit Punch and Raspberry Lemonade.